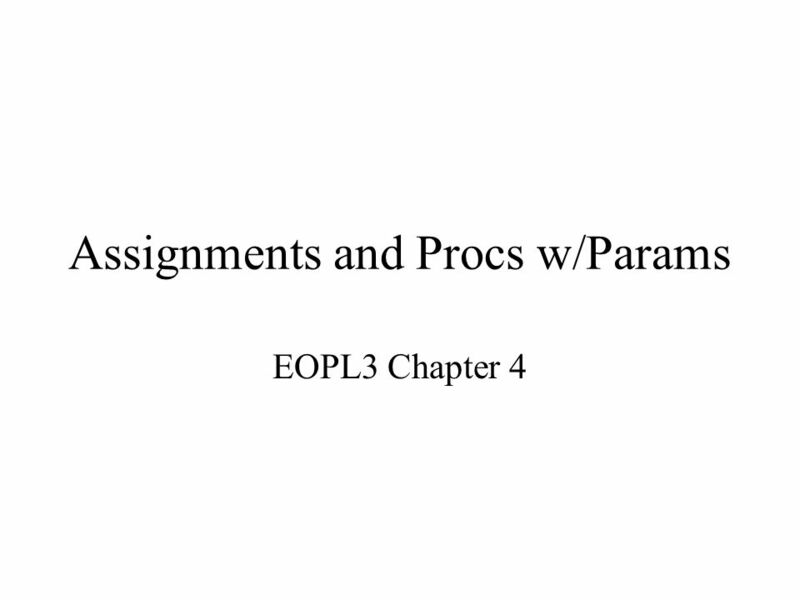 Assignments and Procs w/Params EOPL3 Chapter 4. 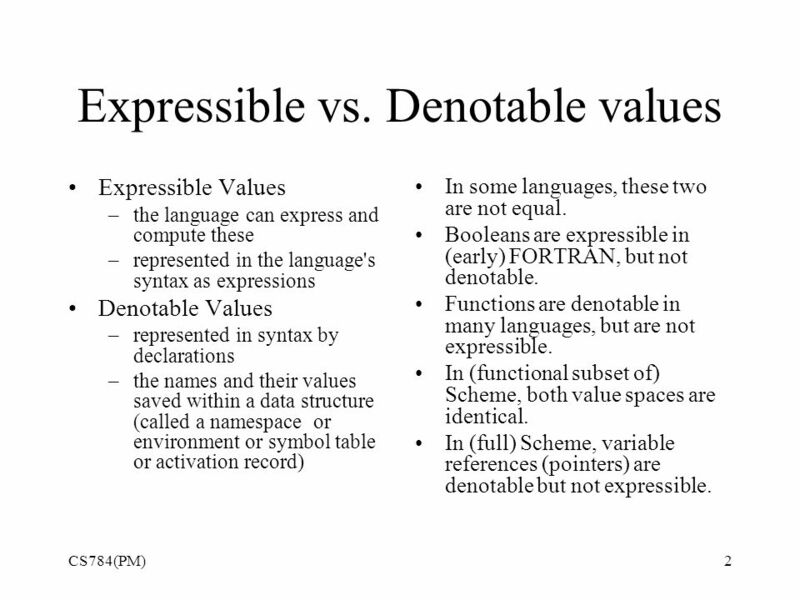 Expressible vs. Denotable values Expressible Values –the language can express and compute these –represented. 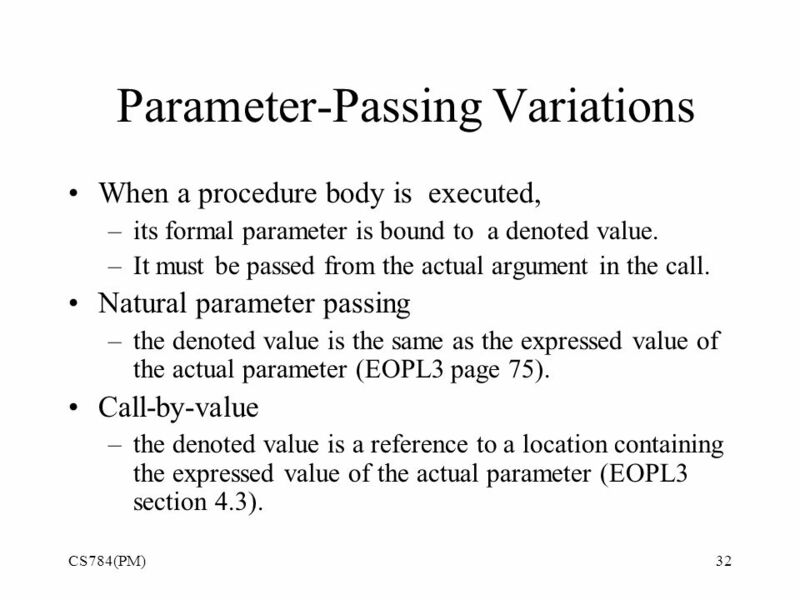 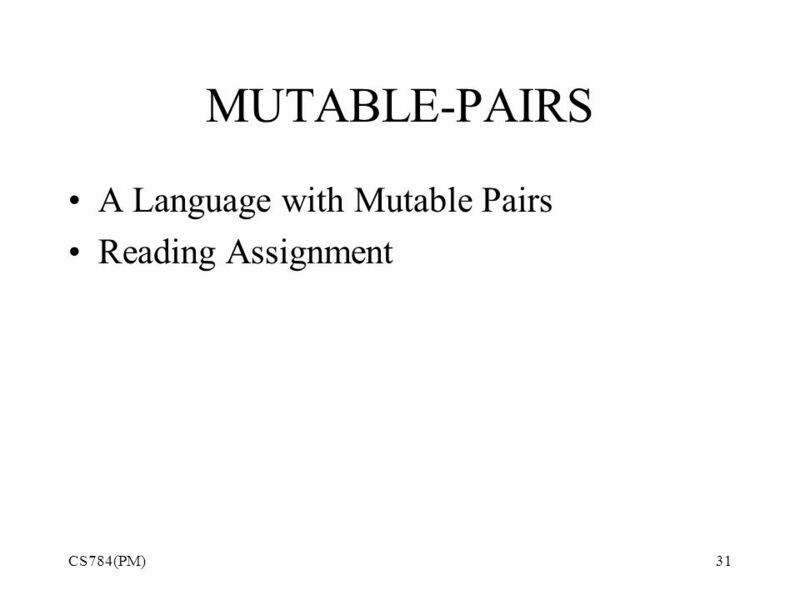 Download ppt "Assignments and Procs w/Params EOPL3 Chapter 4. 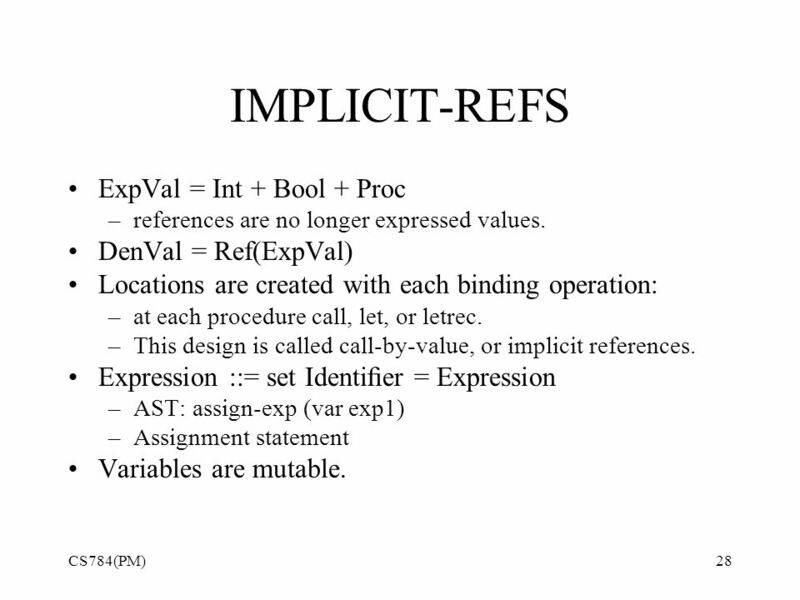 Expressible vs. Denotable values Expressible Values –the language can express and compute these –represented." 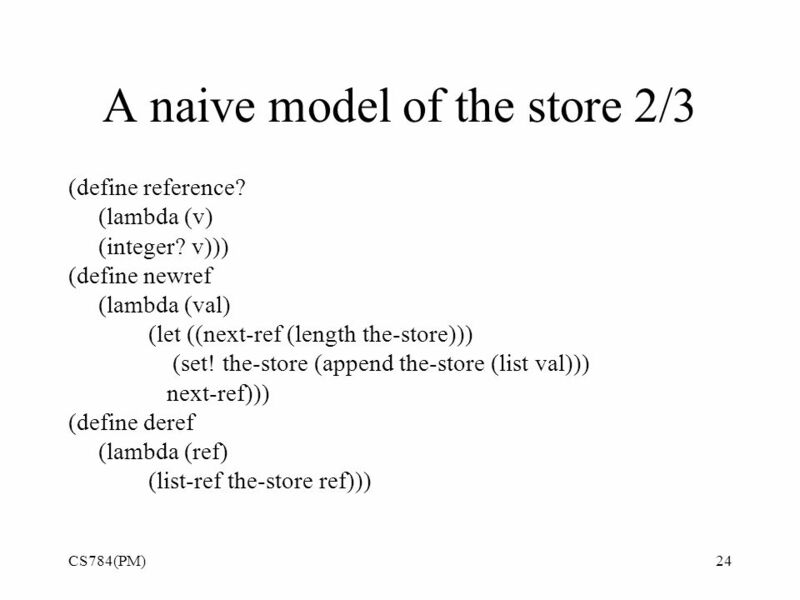 Plt /7/ Data Abstraction Programming Language Essentials 2nd edition Chapter 2.2 An Abstraction for Inductive Data Types. 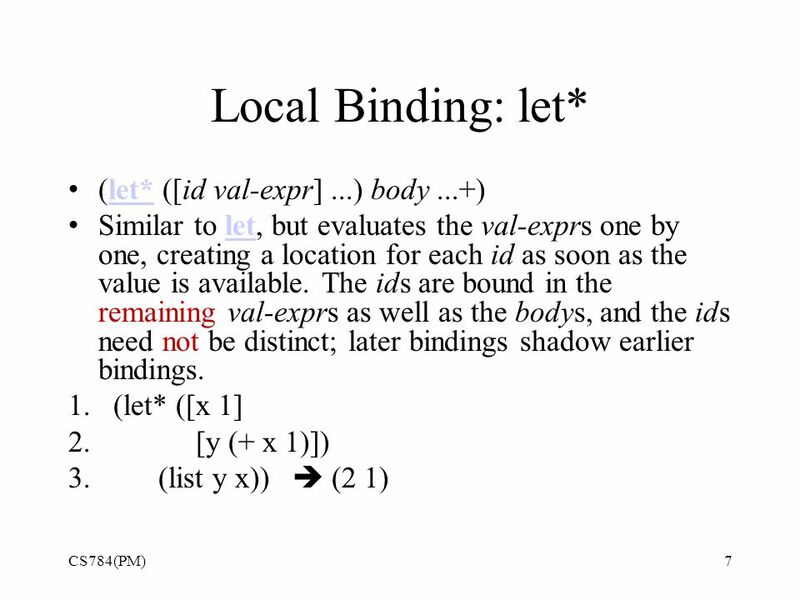 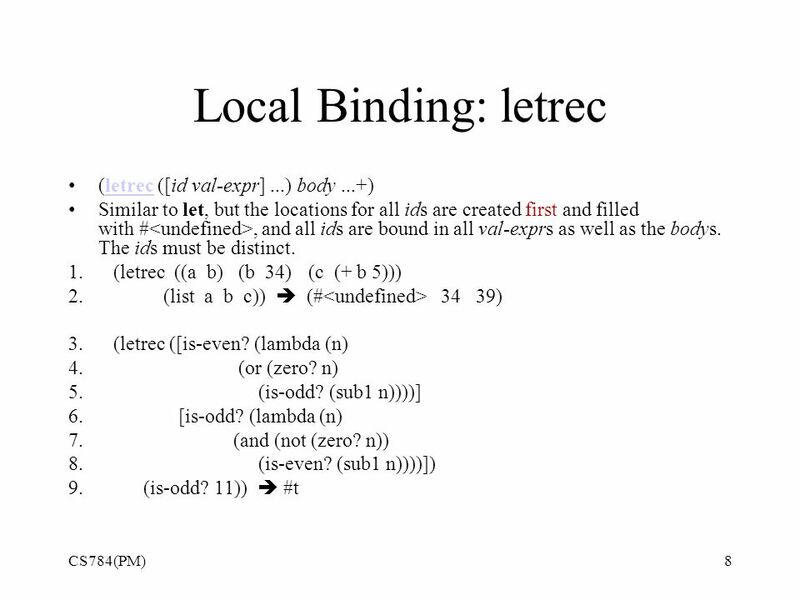 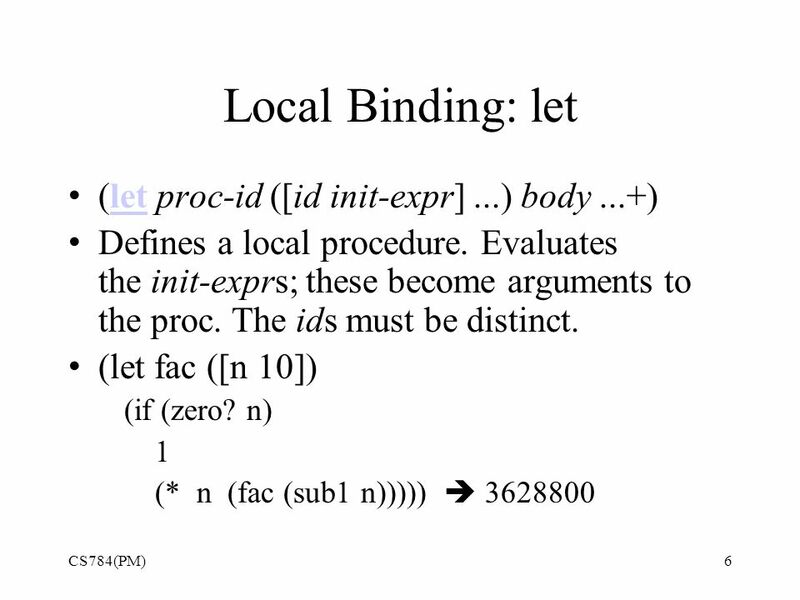 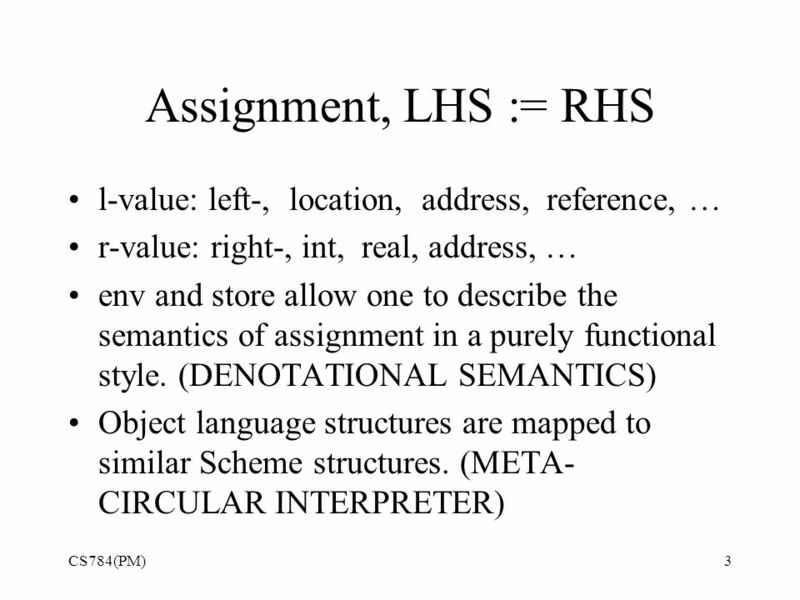 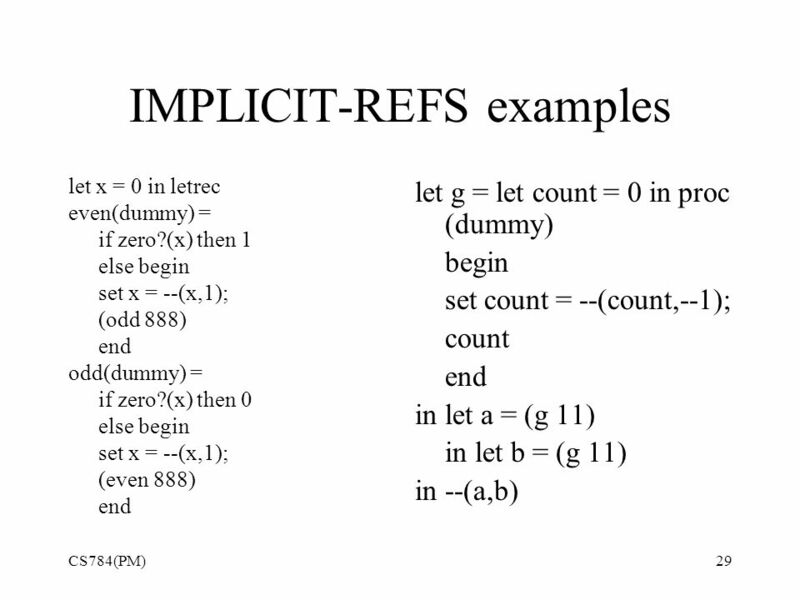 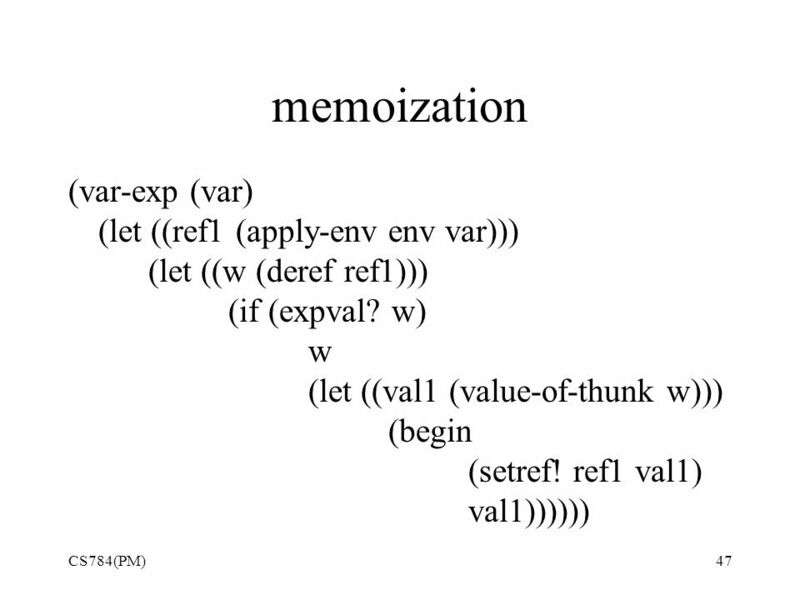 Semantics of PLs via Interpreters: Getting Started CS784: Programming Languages Prabhaker Mateti. 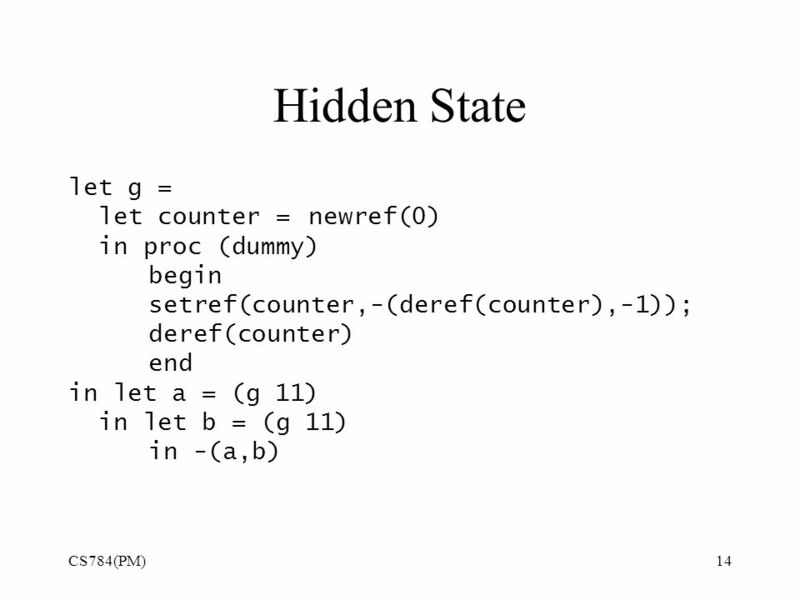 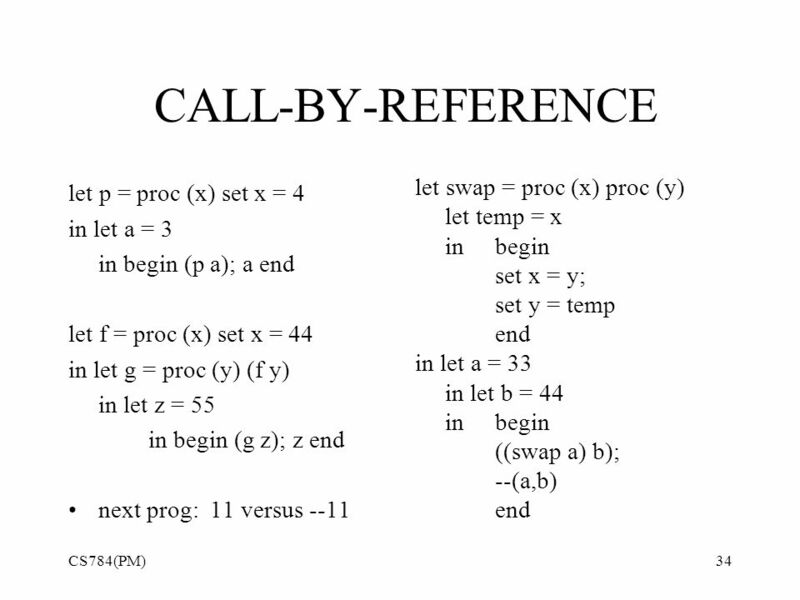 1 Programming Languages (CS 550) Mini Language Interpreter Jeremy R. Johnson. 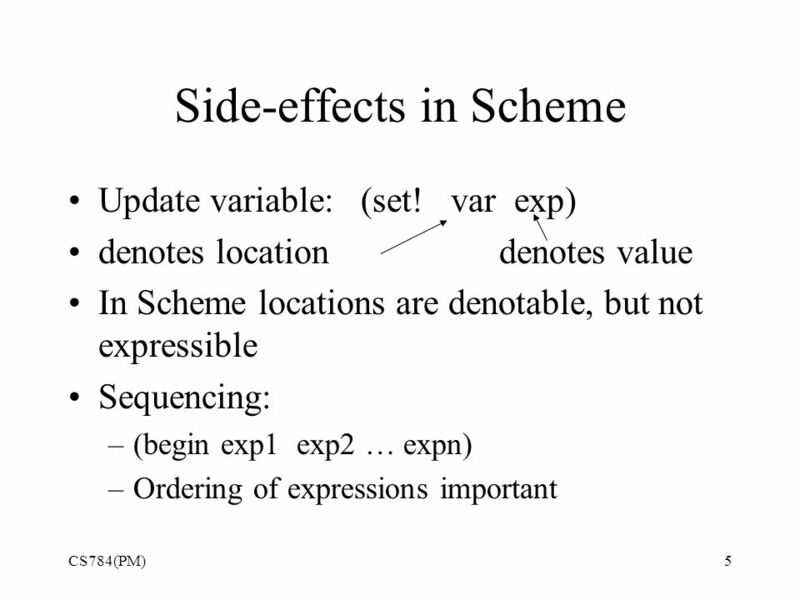 Scheme in Scheme. 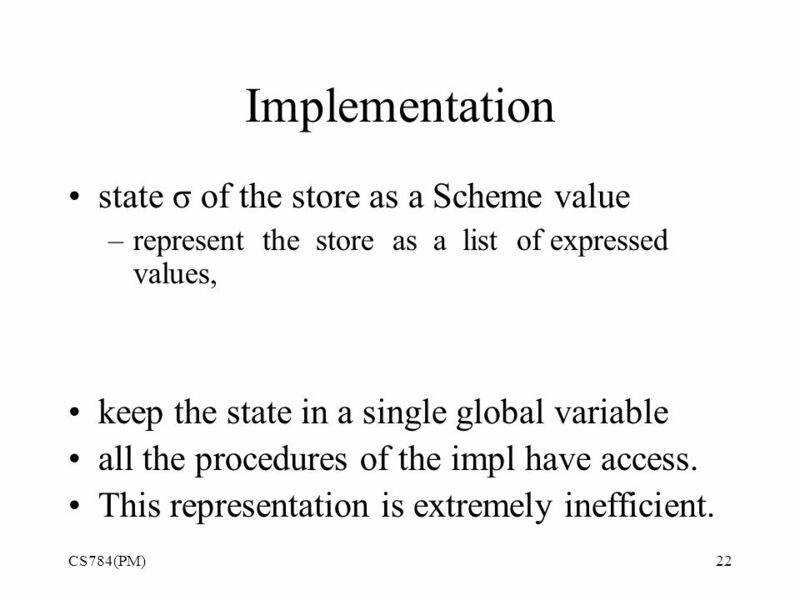 Why implement Scheme in Scheme  Implementing a language is a good way to learn more about programming languages  Interpreters are. 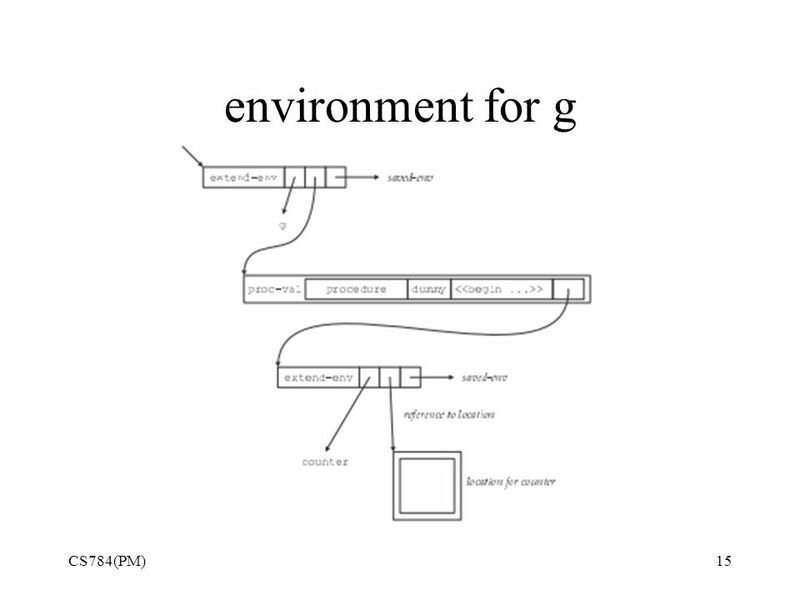 Control-Flow Graphs & Dataflow Analysis CS153: Compilers Greg Morrisett. 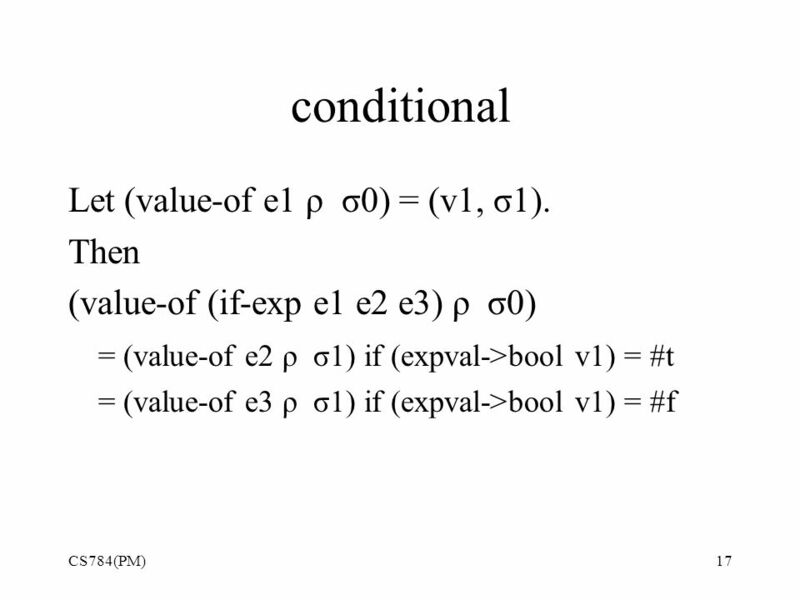 CSE 3341/655; Part 4 55 A functional program: Collection of functions A function just computes and returns a value No side-effects In fact: No program. 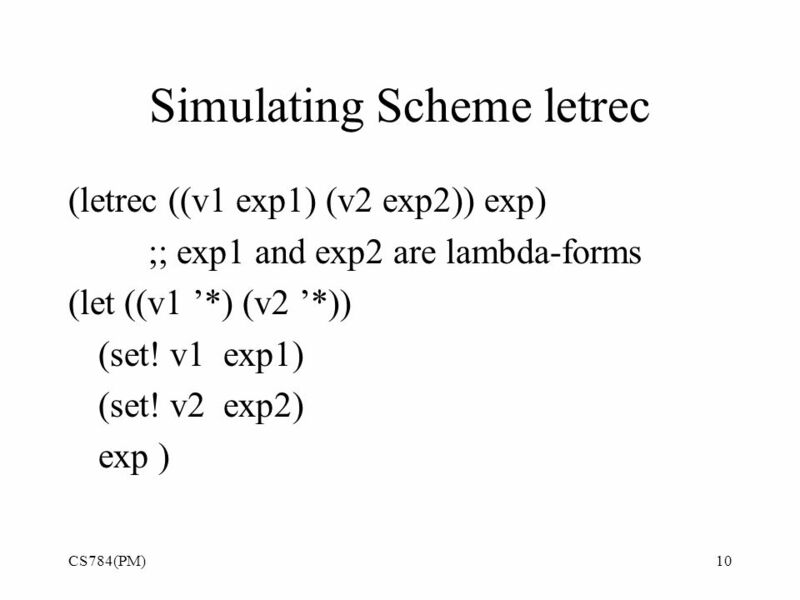 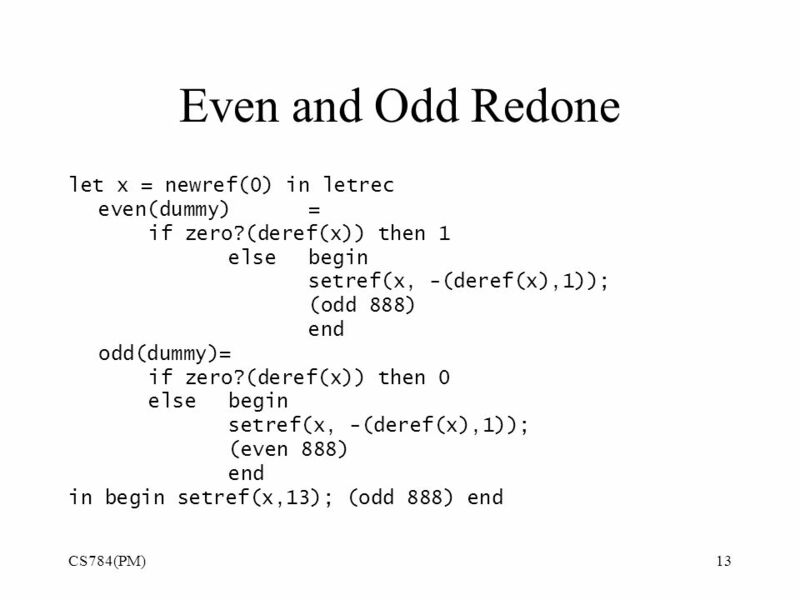 1 Programming Languages (CS 550) Lecture Summary Functional Programming and Operational Semantics for Scheme Jeremy R. Johnson. 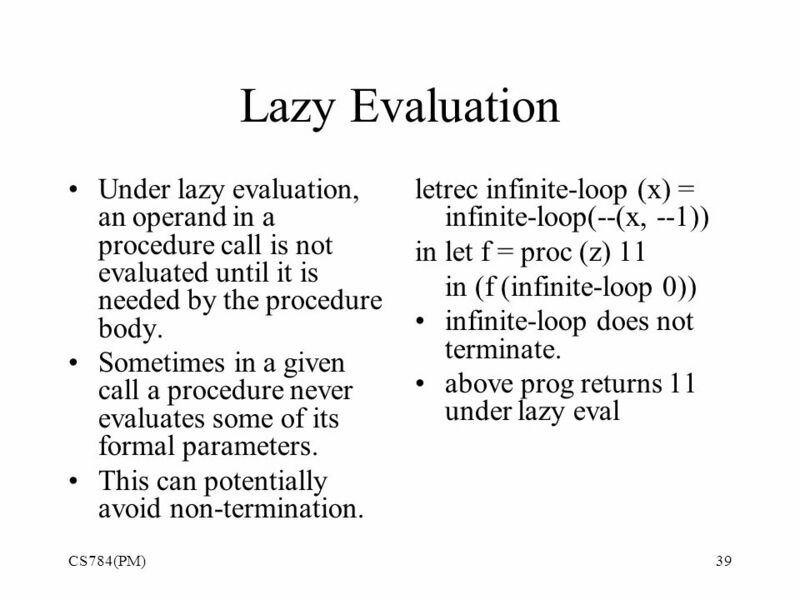 Functional Programming. 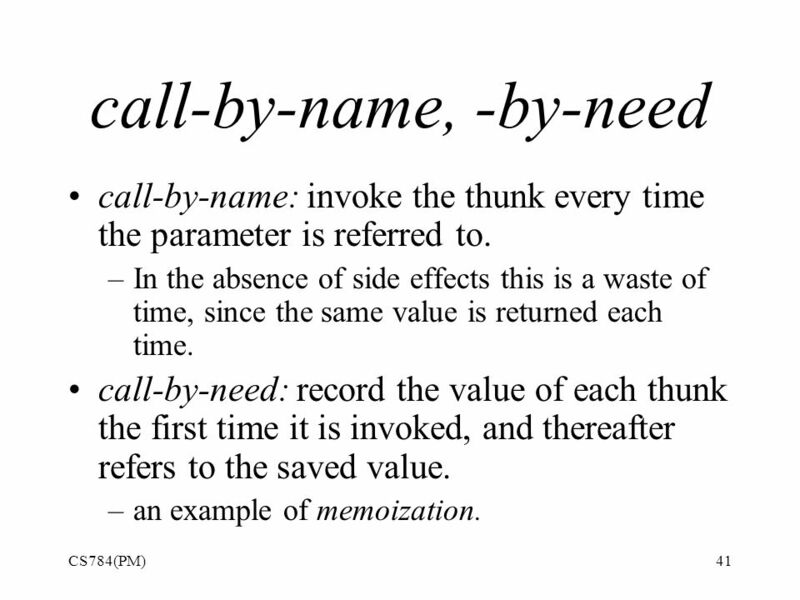 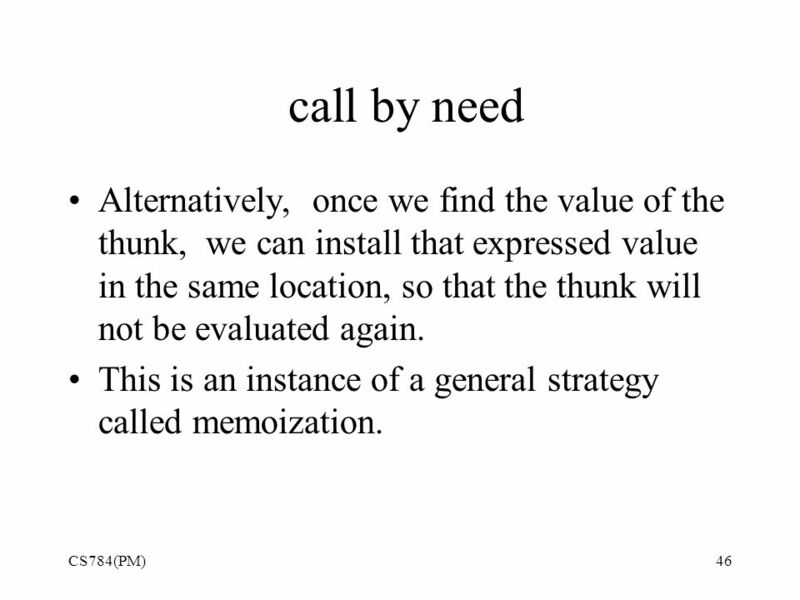 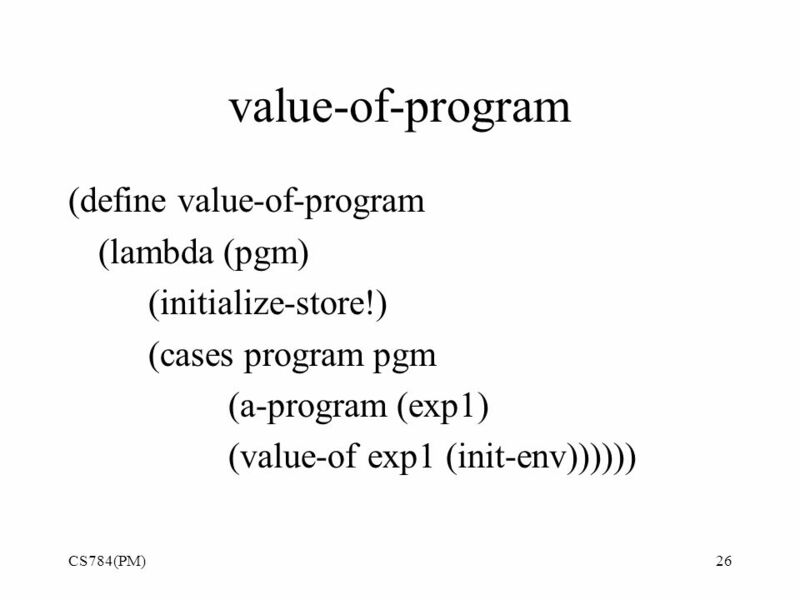 Pure Functional Programming Computation is largely performed by applying functions to values. 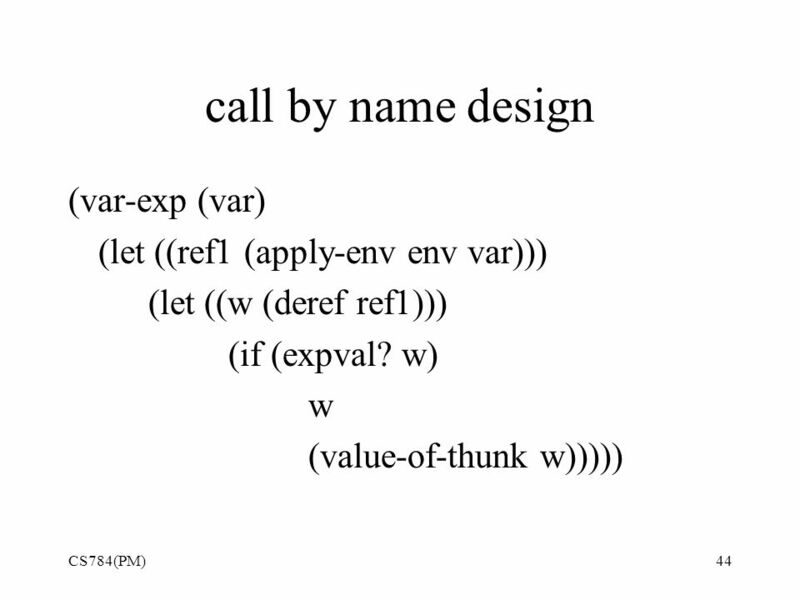 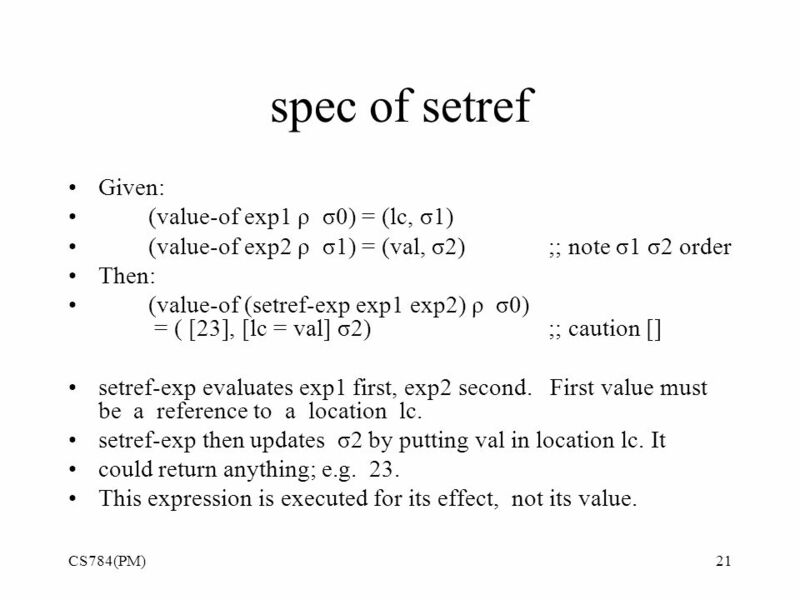 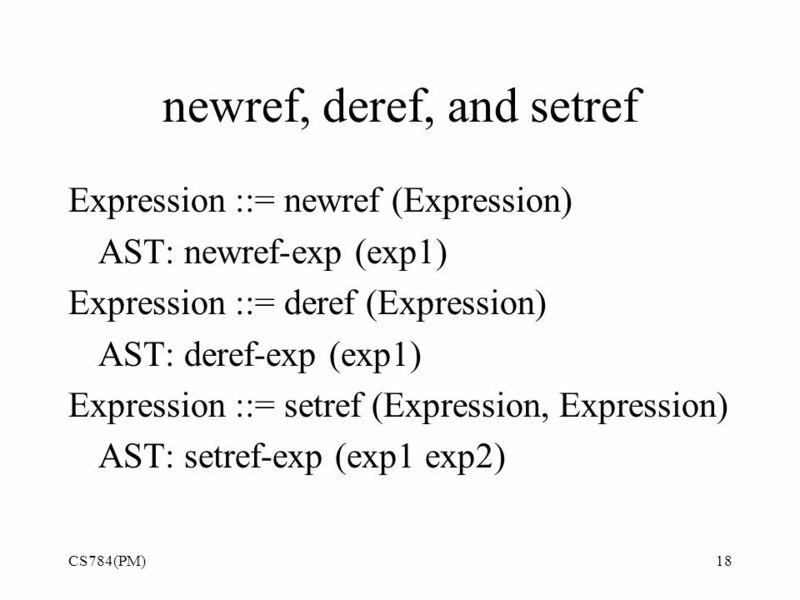 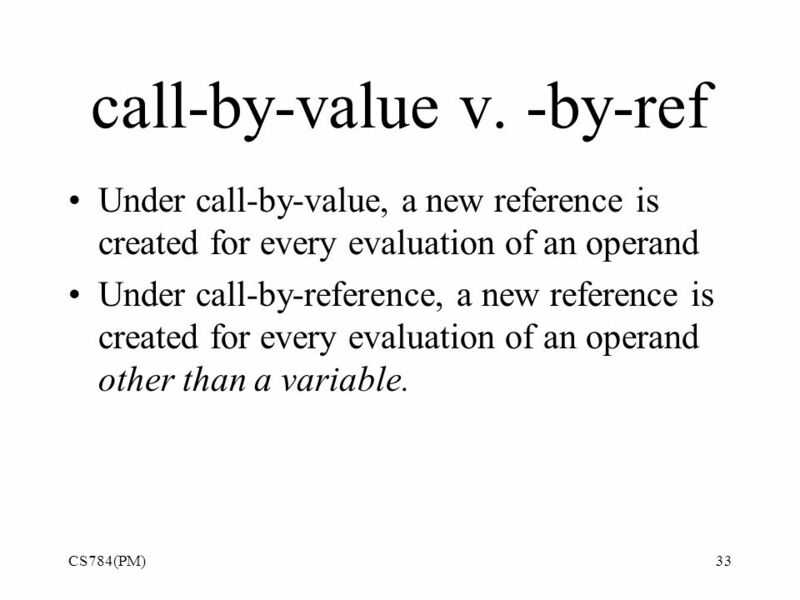 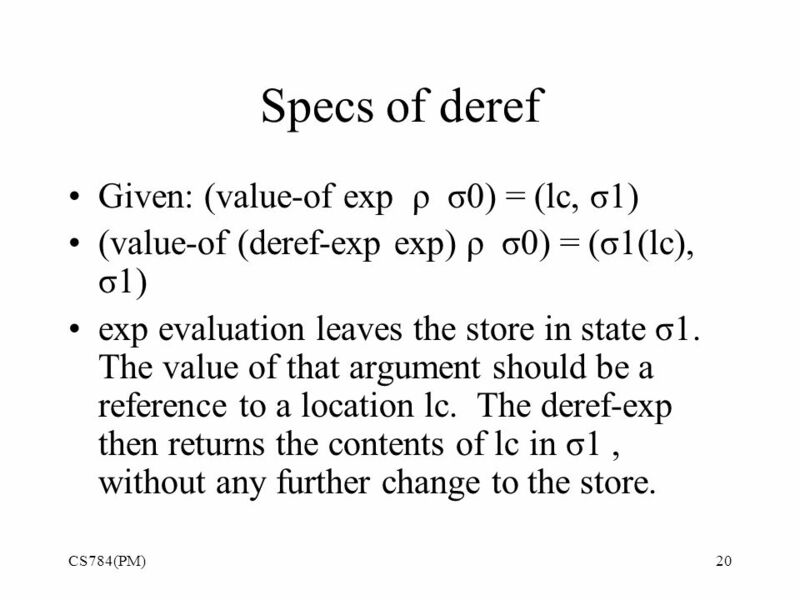 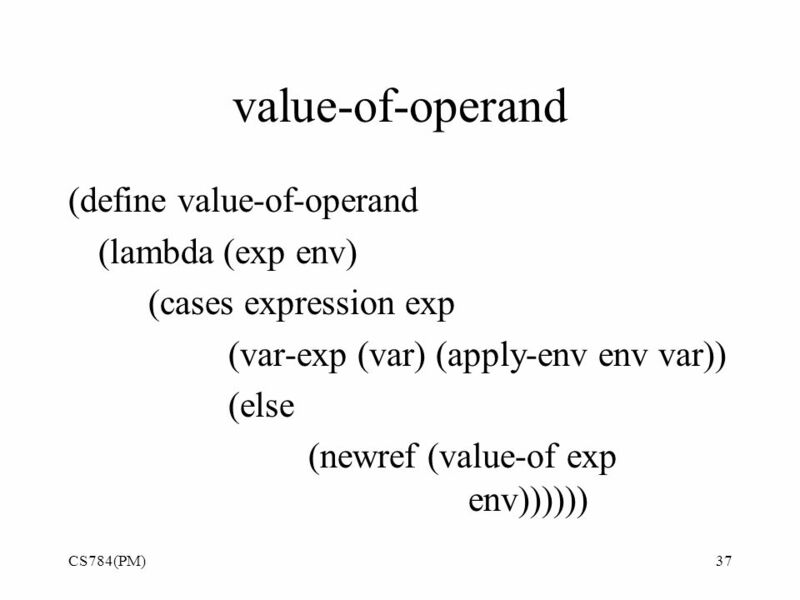 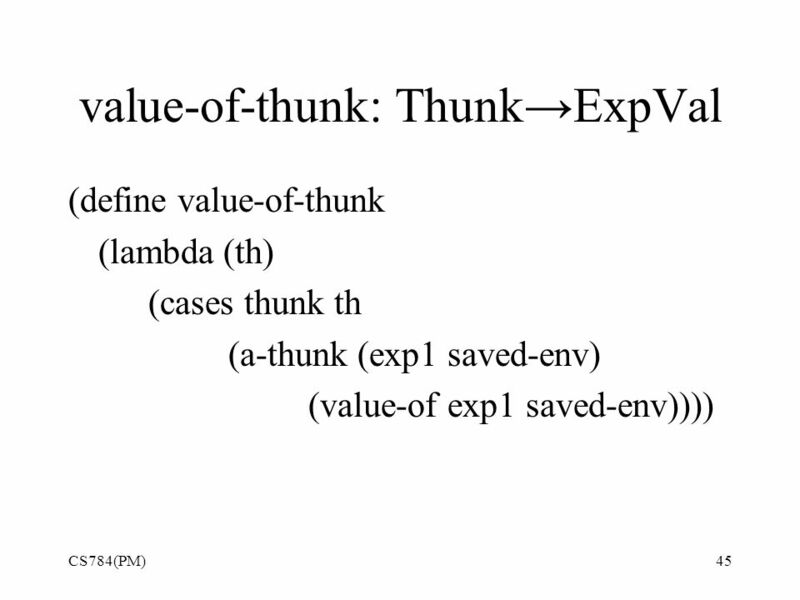 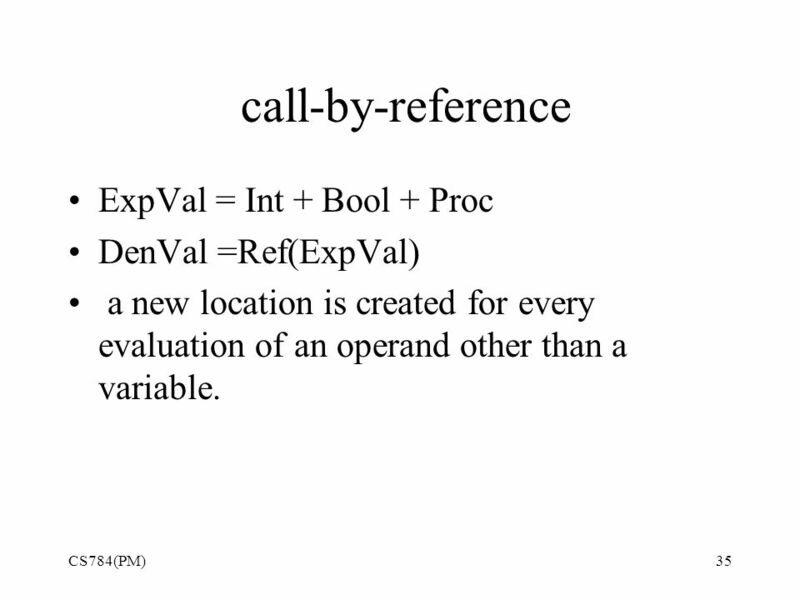 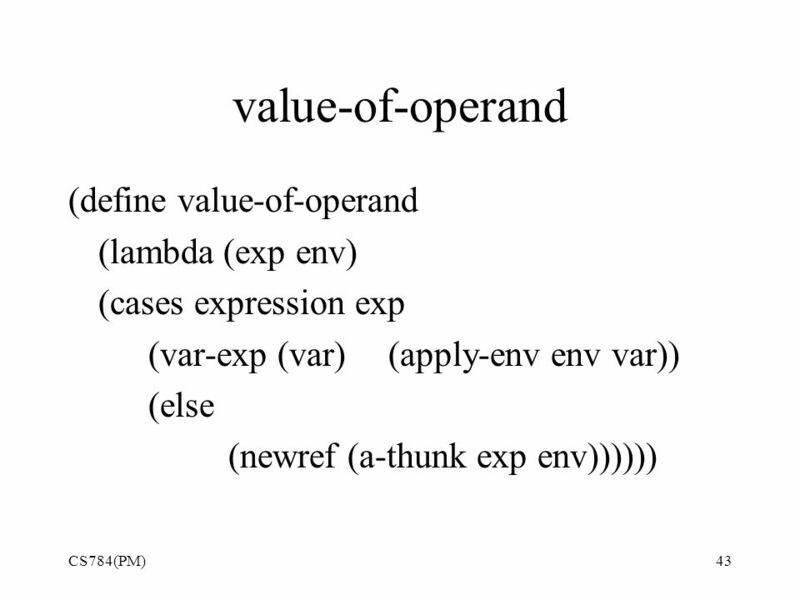 The value of an expression depends. 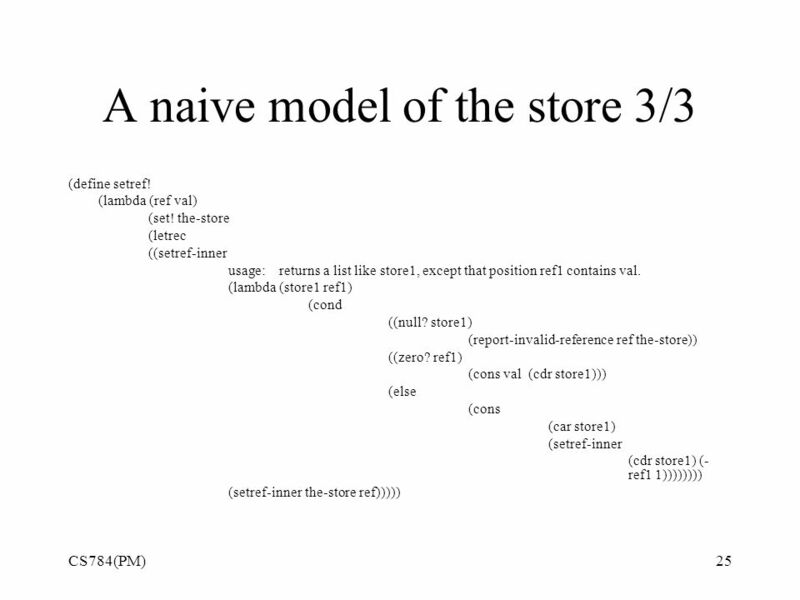 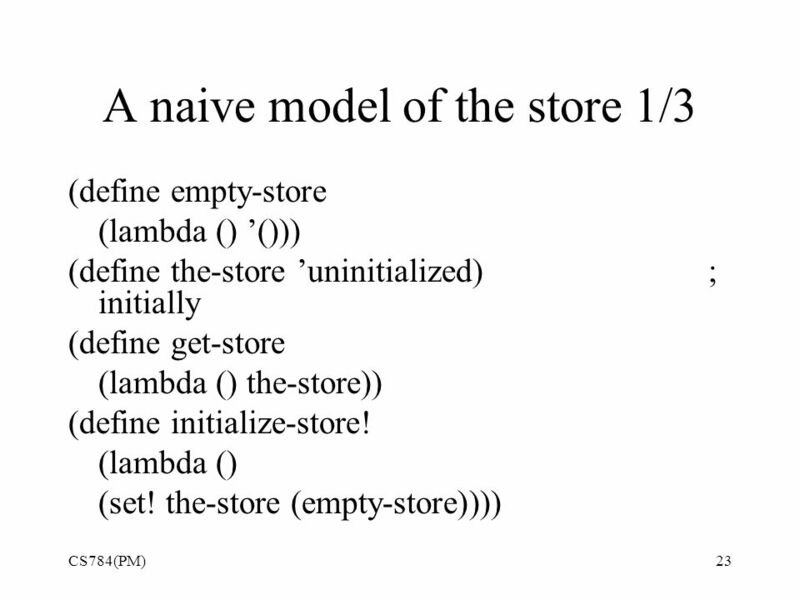 Chapter 3 Functional Programming. 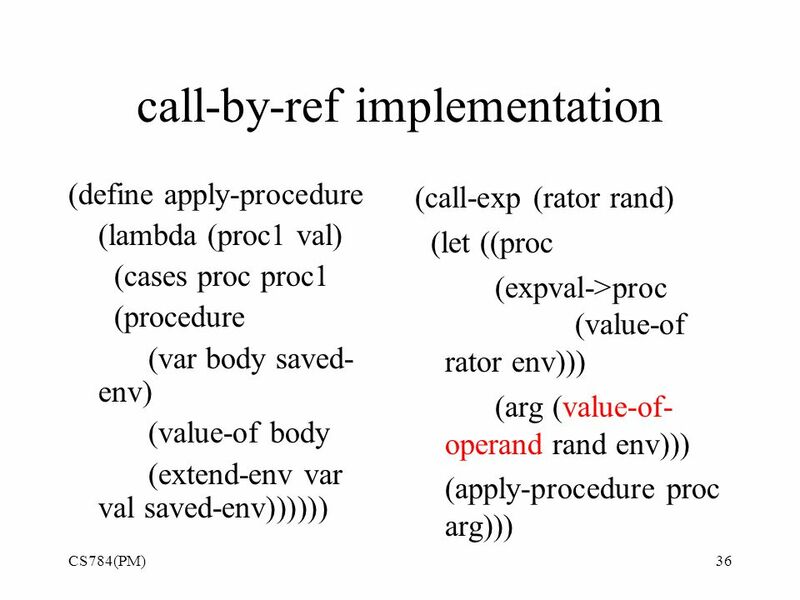 Outline Introduction to functional programming Scheme: an untyped functional programming language. 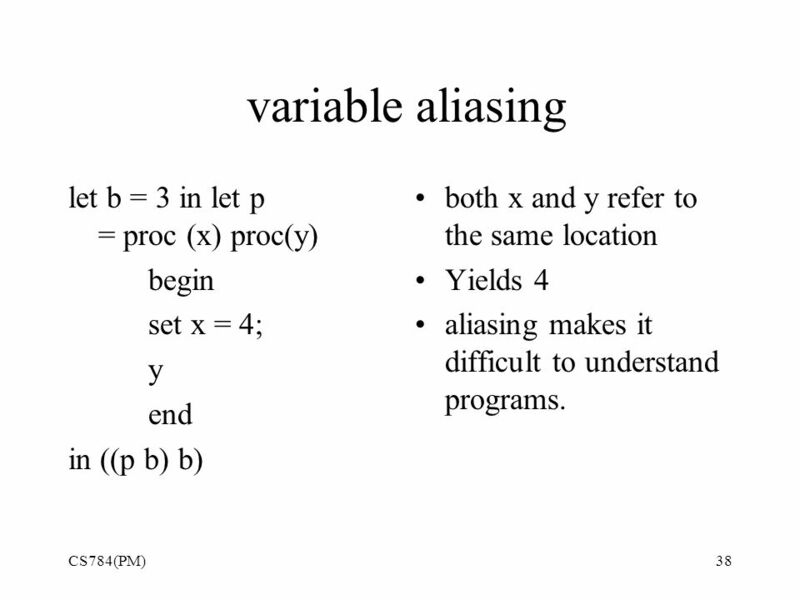 CS 355 – PROGRAMMING LANGUAGES Dr. X. Apply-to-all A functional form that takes a single function as a parameter and yields a list of values obtained. 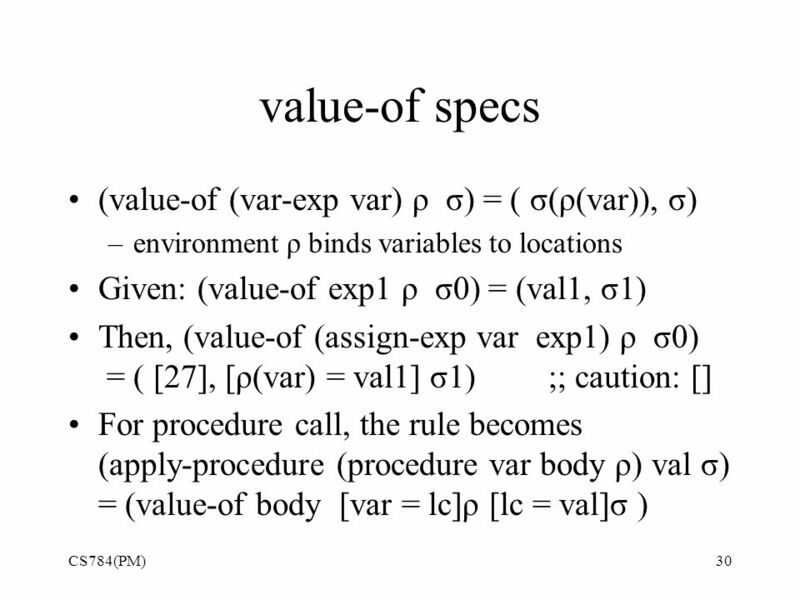 Cs784(TK)1 Semantics of Procedures and Scopes. 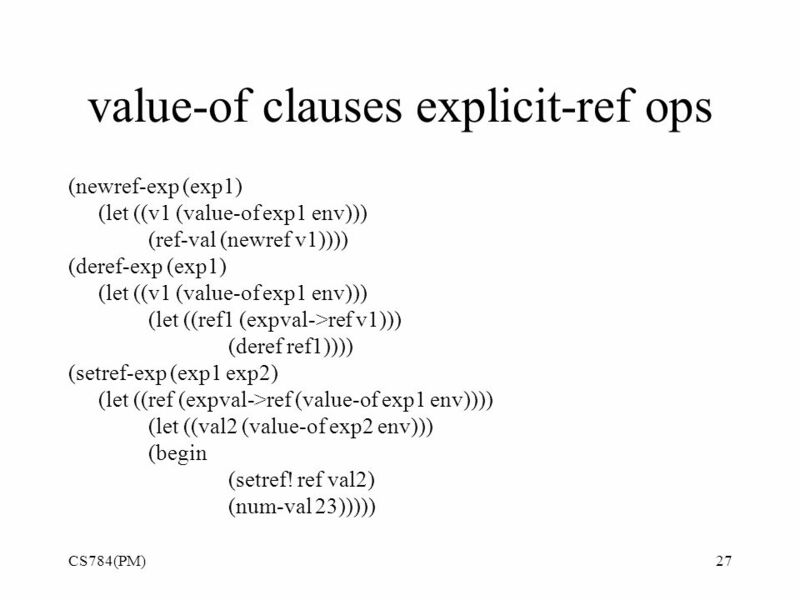 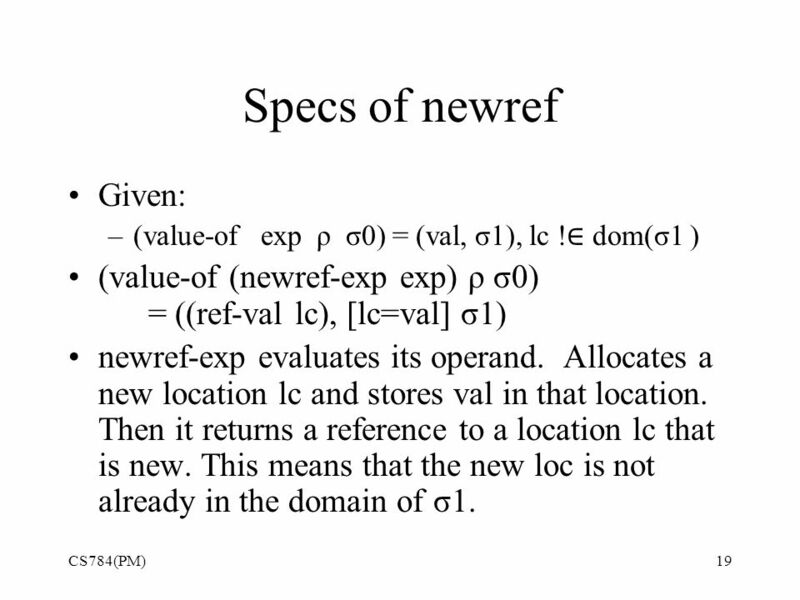 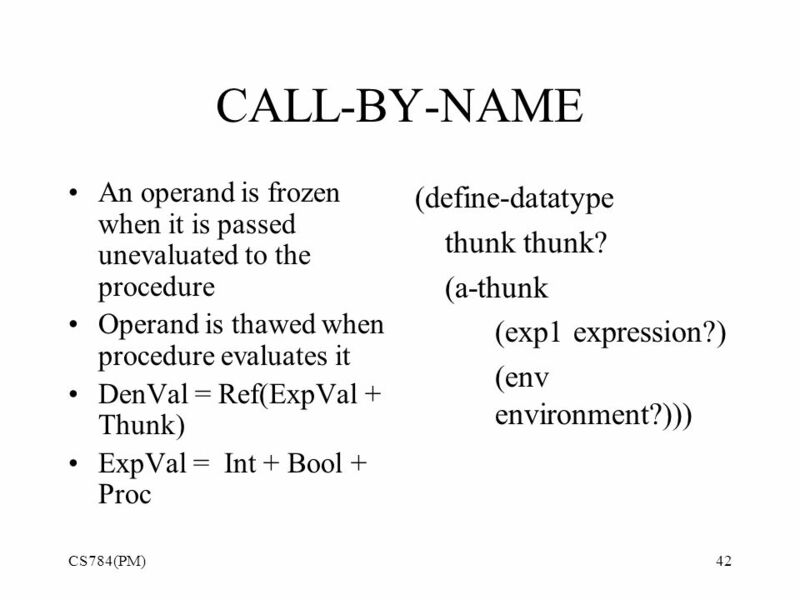 Kinds of Scope Static or Lexical scope –determined by structure of program –Scheme, C++, Java, and many. 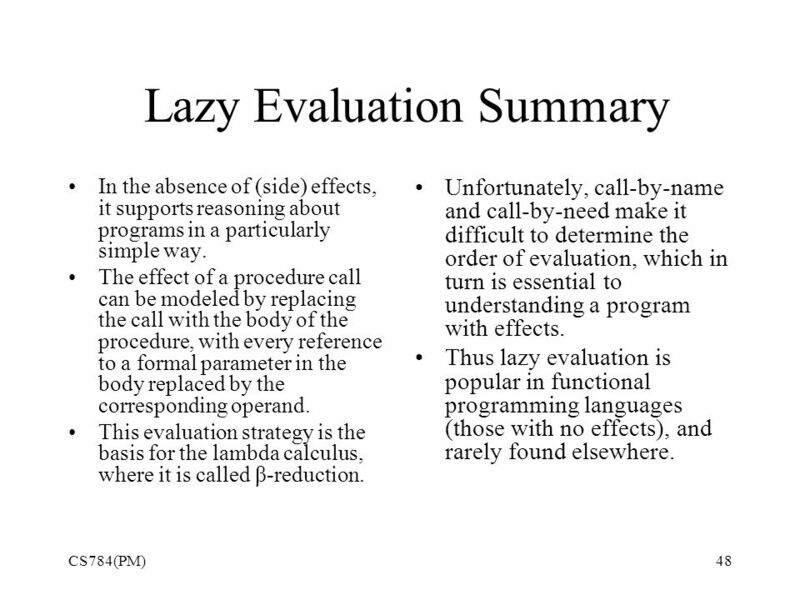 1 The Evaluator. 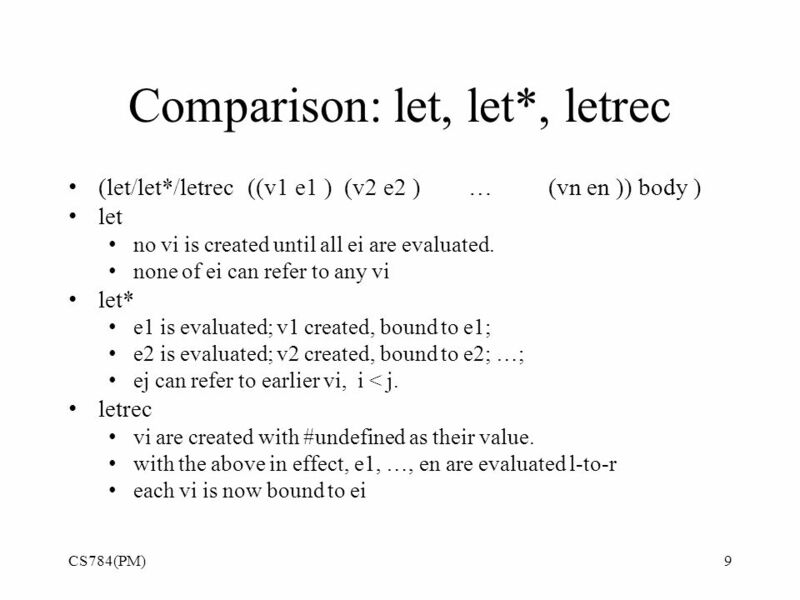 2 Compiler vs. Interpreter Command Processing Unit The Computer Program in Low Level Machine Language Program in High Level Language.